I have started my last pair of STR socks, “Holidazed“. These date back to my last shipment from the club 2 years ago. 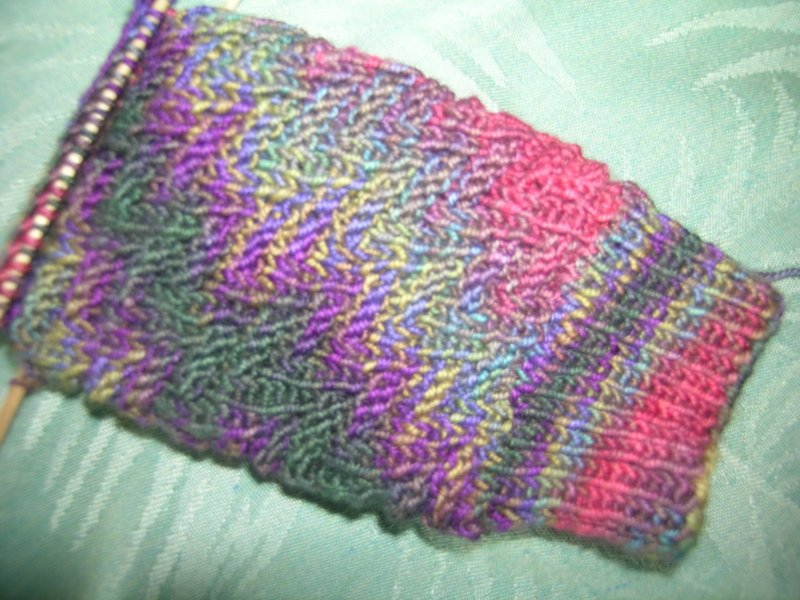 I cast on with size 1 needles, the pattern called for size 1 1/2 which I do not have. After completing half of the heel flap, I realized that these were just going to be too tight, so I ripped back to the 1×1 ribbed cuff, and knit the main body with a size 2 needle. So, my progress photos are not as far along as I had hoped. I like the way that the yarn is knitting up on a size 2 needle much better. The first version was very striped. The larger needles also give more stitch definition to the pattern, the fabric does not feel so dense, and the yarn is actually easy to work with. I think that in many of their patterns, they are trying to make this yarn something that it is not by using very small needles. STR should just accept that these will be bulkier socks, and use a size 2 needle. Par for the course, not my favorite pattern, but I am determined to knit what was given to me. I have learned a few things along the way. Most importantly it has taught me that I need to not be wowed by colors, but go for the weight and texture of yarns that I really love. As in things that I put in my house: quality, beauty and useful or something I love. Tonight is the Stitch N Pitch outing of knitters to see the Chicago White Sox game vs. Minnesota Twins. I must have something mindless to work on during that time, and these current socks require good lighting. I am thinking a pair of simple white socks. What is the colorway? I know what you mean about STR but I’m afraid I am still in the “wowed by color” phase and I LOVE that one. Colorway is Muddy autumn Rainbow. 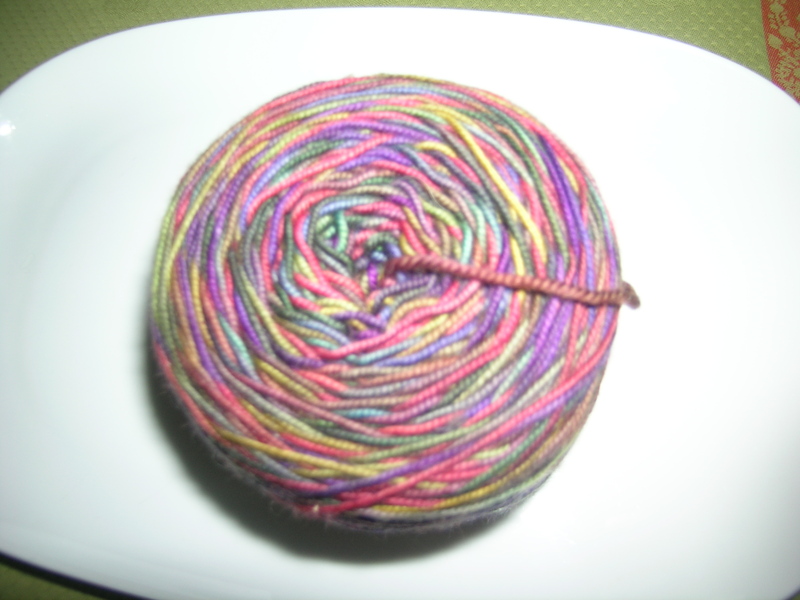 Beautiful in the skein also.